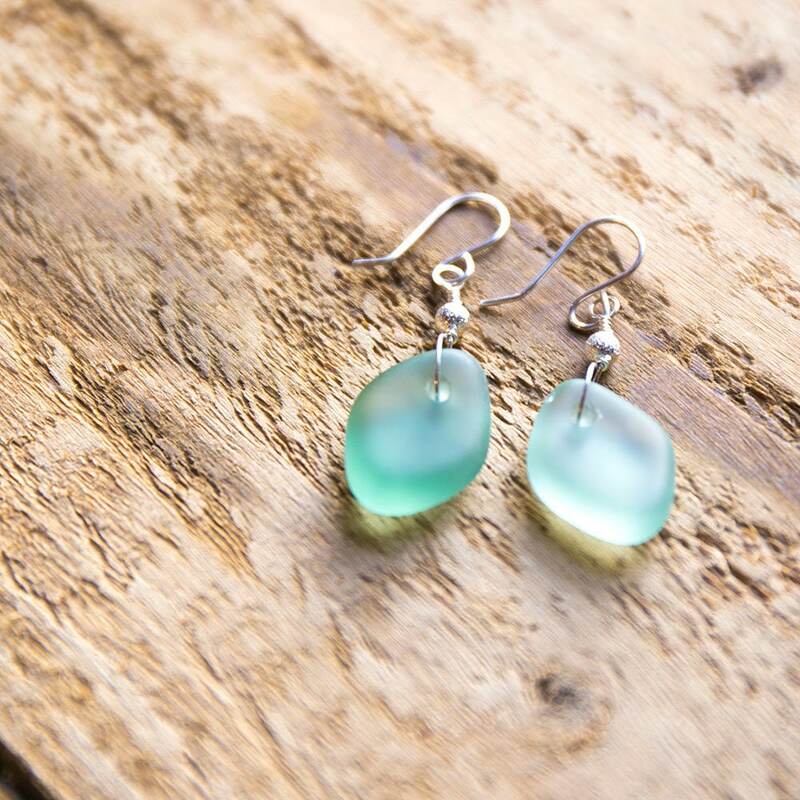 Soft, perfectly smooth diamond-shaped Seaham seaglass earrings. Sterling silver. One of a kind. 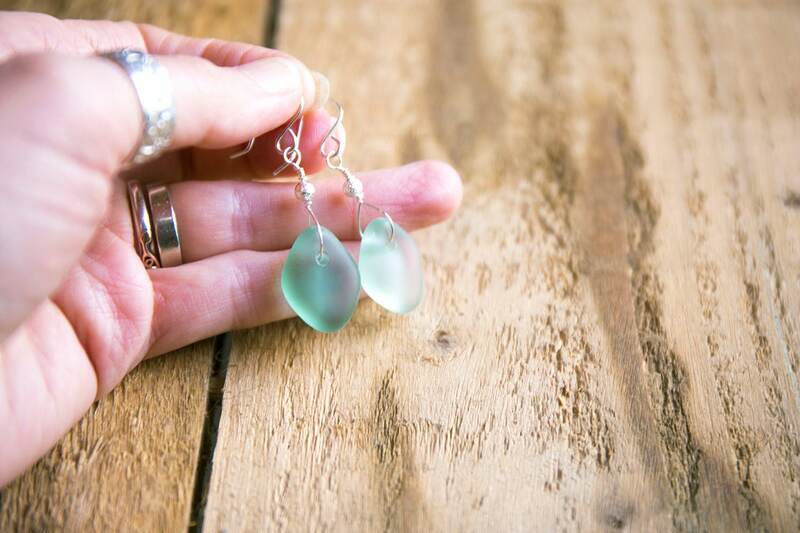 A pair of beautifully smooth Seaham seaglass earrings, gathered directly from the waves and brought home to be tumbled just a little bit more. Until it is so smooth it actually seems to glow. The pair is as matching as humanly possible, since we work with what the ocean offers... though these ones are a rather fine match. As you may well have read on my shop before: gathering days on the beach are my favourite days of all. Sometimes alone, sometimes just the two of us, and sometimes with the whole menagerie, each of us meandering up the shoreline, eyes glued to the ground, watching for the telltale sparkle of a piece of glass amongst the pebbles and sand. And the delicate business of drilling each piece without shattering it holds its own heart-stopping pleasure. Embellished with silver plated glittering beads and wired with sterling silver wire onto hand-fashioned sterling silver ear wires.